Argentina’s faltering growth imperils President Macri’s reforms. Mexico has delayed oil liberalization. Brazil’s main pro-business presidential candidate looks weak. Losing fiscal nous and foreign investment in the region’s biggest economies would hit business and the poor alike. 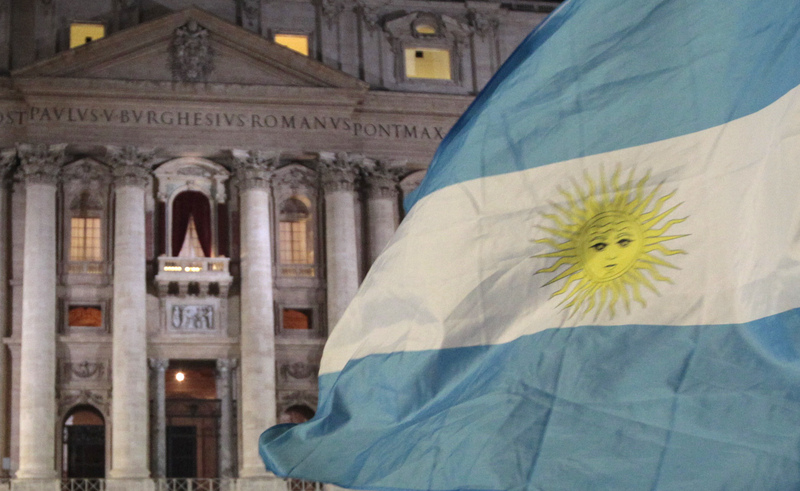 Faithful wave Argentina's flag after white smoke rose from the chimney above the Sistine Chapel, indicating a new pope has been elected at the Vatican, March 13, 2013. Argentina's economy contracted 6.7 percent in June compared with the same month last year, according to data released by government statistics agency Indec on Aug. 23. A run on the peso currency has prompted the country to agree a $50 billion financing deal with the International Monetary Fund. Goldman Sachs said it now expects the economy to contract between 1 percent and 2 percent in 2018. Mexican oil auctions originally set for later this year will be postponed until 2019, the country’s oil regulator announced on July 18, allowing time for leftist President-elect Andrés Manuel López Obrador to take office following his landslide election victory earlier in the month. The auctions are now scheduled for Feb. 14. In a Datafolha poll published by the Folha de S.Paulo newspaper and Globo TV on Aug. 22 ahead of Brazil’s presidential election, former President Luiz Inacio Lula da Silva led all contenders with the support of 39 percent of those surveyed. Some 31 percent of respondents said they would definitely vote for Lula's handpicked successor – likely to be former Sao Paulo Mayor Fernando Haddad - if Lula, who is currently in jail, is barred from running.